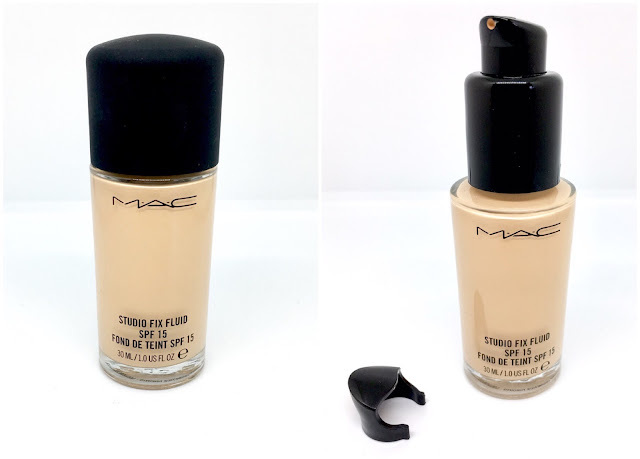 I am a beauty blogger and I have NEVER bought a MAC foundation. I know most bloggers go bananas for MAC products but I haven't bought a MAC product for probably 5 years! I went through a phase of dreaming to own every one of their lipsticks and I used to review them regularly - if you fancy a giggle at some of my old posts with very old pictures you can do on the links here > Lovelorn > Viva Glam Gaga > Girl Out Town > Frenzy. Now I am slightly *coughs* older I seem to have steered away from MAC as I enjoy trying a variety of different products from different brands. Over the years of blogging I have discover it's OK to own lipsticks from other brands aside from MAC and actually there are products that are better than MAC too - BUT - while I was looking for a full coverage foundation for nights out and special occasions, where I needed my foundation to stay put for a long period of time, everything I had read, or people I had asked pointed to MAC Studio Fix Fluid. 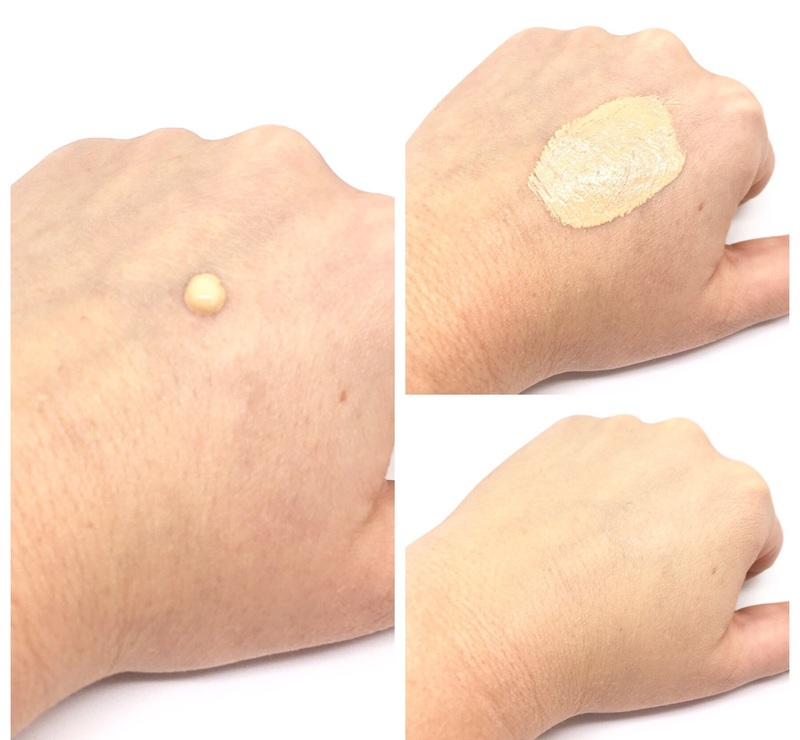 "A modern foundation that combines a natural matte finish and medium to full buildable coverage with broad spectrum UVA/UVB SPF 15/PA++ protection. Applies, builds and blends easily and evenly. Comfortable and long-wearing, it helps minimize the appearance of pores and imperfections, giving skin a smoother, more flawless look and finish." I am slightly annoyed with myself that I haven't tried this foundation sooner as it does exactly what I was looking for. I went to the MAC counter, slightly scared as the girls behind the counter always look so precisely made up, I imagined them looking at my Maxfactor covered face in absolute horror. The girl who served me, quickly matched me to shade NW15 which seemed to suit my skin absolutely perfectly. I went to the till and was surprised that they give you a pump to go with the bottle at no extra cost (take note Estee Lauder) and she also gave me a decent sample of one of their priming moisturisers. 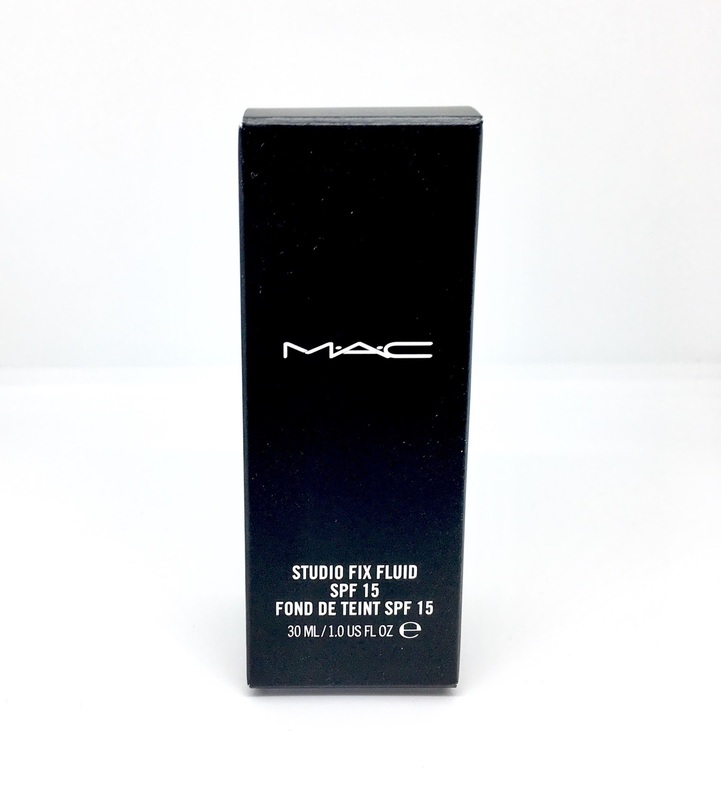 Studio Fix Fluid is definitely full coverage so I wouldn't wear it everyday, but this is ideal for occasional wear. The consistency is slightly thicker than my usual foundation but it doesn't feel heavy on the skin at all. It is very blendable making it really easy to apply, plus a small amount goes a long way - one pump does my whole face. So am I converted back to the MAC obsession? I wouldn't go as far as that, I love my NARS blushers, Urban Decay lipsticks and Benefit brow products too much, but I am definitely happy with my purchase from MAC. What MAC products do you buy, if any? I would also love to know if you went through a MAC mad phase like I did, let me know in the comments!